Adding a jungle gym to your backyard can provide countless hours of entertainment and activity for your family. The task may seem daunting, but it's outweighed by the sense of pride knowing you created something for your children. If your child is old enough, building your own jungle gym can become a bonding experience. 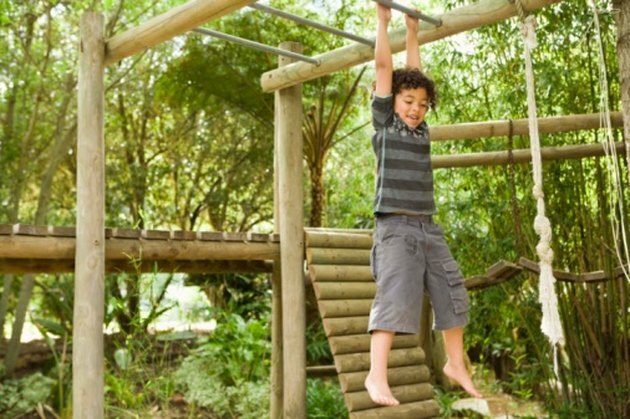 Building a jungle gym is a great way to keep your children active outdoors. Choose a jungle gym design. There are two options for do-it-yourself builders. You can purchase a predesigned play set that come with all the parts, or you can build a custom jungle gym crafted from your own designs and built from scratch. Be sure to consider the sizes and ages of your children, as well as how many youths will be using the jungle gym at one time when selecting a design. Make a list of supplies to make the assembly process smooth. Purchase supplies. If you opt to use a predesigned jungle gym kit, double check to make sure all of the parts are included and undamaged before you begin assembly. If you decide to build a custom jungle gym, purchase the parts from your local hardware store. The primary supplies are timber, nuts, bolts and other hardware, as well as a slide, swings and metal rods for monkey bars. Many hardware stores sell prefinished lumber designed for outdoor projects, along with slides, swings and other accessories. You may also want to purchase sand or wood chips to spread under your jungle gym. Lay out the parts. 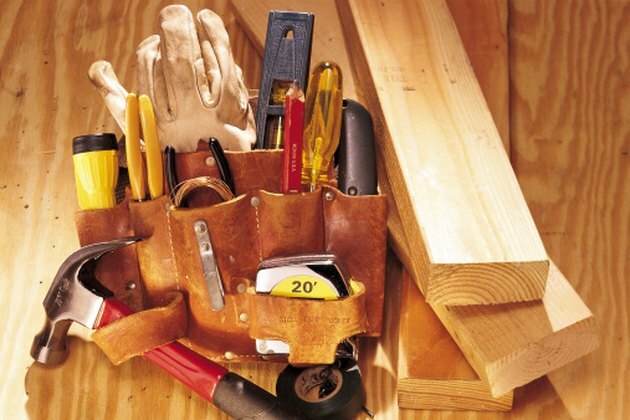 Place all tools and small parts in an area where pets or small children cannot reach them. Lay out the larger parts by size or type to make it easier to find each piece. Assemble the base and outer frame of the primary structure. This typically includes a platform or two that forms the base for all of the sections or accessories. Make sure all nuts and bolts are as secure as possible. It will be easier to build the platform by building the frame on its side on the ground so you'll have easier access to all areas. Erect the frame once it's complete. Assemble the remaining structural sections separate from the main structure, such as an A-frame and top rail for the swings, or the frame for your monkey bars or ladders. It is helpful to assemble these parts on their sides first. If you add monkey bars, the outer support beams of your monkey bars' frame should be spaced at least 1 1/2 feet apart to allow enough space for children to swing from each bar comfortably. Selecting the right sized bit or blade makes any drilling project easier. Drill holes along the outer support beams for the rungs, spacing each hole about a foot apart. 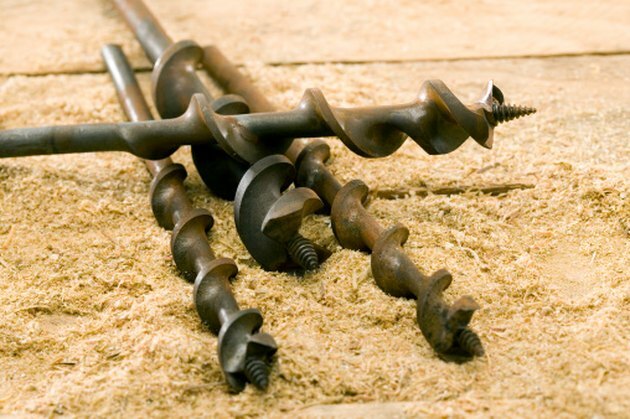 The best method for drilling these holes is to use a drill blade or bit designed for cutting larger holes. Consult a hardware store worker to help you find the right bit. The holes should go all the way through your support beam and be just wide enough for the metal rungs to slide through. Add monkey bar rungs and mounts for the swings. The length of the metal rods for each monkey bar rung should be just over 1 1/2 feet long to cover the space between your support beams. Your monkey bar rungs should be about 1 1/2 feet long, spaced 1 foot apart. To keep the rods from sliding out of place, fasten a bolt through each hole near the outer edge of the support beams to block the end of the rod from sliding out of place. Attach the outer structural sections to the main frame of the jungle gym. You'll need help to erect the frame. Add any remaining parts of the structure, such as a platform flooring, railings and ladders or steps. 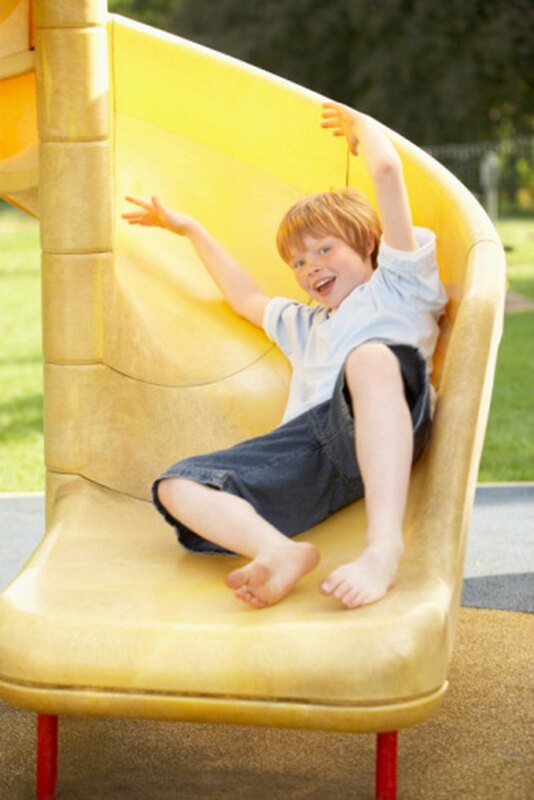 Plastic slides can endure more weather damage than metal slides. Attach the larger structural accessories, including the swings, slide and other elements such as a rope ladder or sand box. Add any optional, smaller accessories, such as handles to assist in climbing ladders. Paint or stain the wood elements if they did not come pretreated. Paint the structure when it's done. If you paint during the process, nicks or scratches are bound to happen. If you want, you can spread sand or wood chips under the jungle gym. Make one final check to make sure all parts are secured and the paint or stain is dry before letting children play. A lifelong resident of Wisconsin, Amy Rath has been a professional writer since 2007. She served as a reporter for "Community Shoppers" and as a freelance reporter for the "Sun Prairie Star." Rath holds a Bachelor of Arts in English and journalism from the University of Wisconsin-Platteville.